The School of Management, QUT Business School presents a networking and professional development event. Creating disability inclusive workplaces begins with inclusive recruitment practices and can be sustained by providing suitable accommodations, managerial and co-worker support, and assistance from external disability employment service providers. The School of Management’s first alumni event for 2019 will feature guest speakers Sinead Hourigan, Qld Director for Robert Walters; Mary Darke, Associate Director for Robert Walters; Bill Gamack, CEO EPIC Assist; Dr Jannine Williams, Lecturer at QUT; and Dr Katherine Moore, Lecturer at QUT. Professor Cameron Newton will open the event and set the scene for an engaging and informative evening. Our presenters will share their knowledge and experience to assist you to create and sustain disability inclusive workplace practices in your organisation. Sinead is the Queensland Director for Robert Walters and has been recruiting in the Brisbane market for more than 17 years. Sinead has an enviable network of senior clients in the Queensland market across both the public and private sector and is engaged by clients to provide innovative solutions to resourcing challenges in an ever-changing employment market. Sinead is also actively involved in the industry as a whole and in 2017, was elected President of the RCSA. Sinead has the experience, energy, passion and talent to help steer the recruitment industry on a course of continued success and is committed to developing the next generation of recruitment leaders. Sinead is also a CEDA (Committee for Economic Development in Australia) Trustee in Queensland and sits on the QUT Business School Business Advisory Committee. 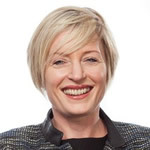 Prior to entering the recruitment industry, Sinead worked within the professional services sector in Sydney, and previous to this, in executive positions within the Irish Government. Sinead is a recruitment industry leader who actively advocates for and drives positive change and outcomes for the sector. Mary specialises in the recruitment of leadership roles across public, private and not for profit sectors. She joined Robert Walters in 2003 and comes with over 15 years’ experience recruiting across multiple corporate services disciplines here in Queensland. Mary has completed a Bachelor of Psychology, as well as a Graduate Diploma in HR and IR. She regularly hosts and attends social engagement workshops to stay in contact with the passive market. As member of the Executive Wellbeing Roundtable and Leadingwell Queensland, Mary works closely with Health and Safety leaders to share innovations and promote best practice outcomes across public and private sector environments. 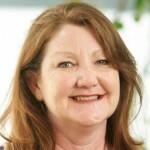 Mary is a CEDA Trustee in Queensland, Griffith University Alumni and member of Australian Human Resources Institute (AHRI) and Safety Institute of Australia (SIA). An accountant by trade, Bill’s career has taken him around the world. He has worked at a major accounting firm in Australia and England, held senior management positions across a range of industries, and spent seven years in the Middle East. Bill’s family ties with disability inspire a sustained interest and stake in the disability employment services sector. 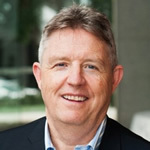 After connecting with EPIC in Brisbane in 2010, Bill identified a strong shared value system and joined the EPIC Board, before taking on the role of CEO in 2014. Bill is passionate about raising society’s expectations around disability and believes everyone has the right to work. 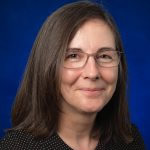 Jannine is an experienced equality and diversity practitioner with over twenty years’ experience in developing disability focused projects and services in both community and work organisation settings. 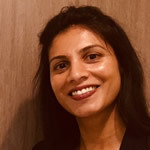 Jannine’s research focuses upon the development and organisation of socially responsible work which meets the needs of individuals, groups and organisations. This focus is developed through a concern for the meaning and experiences of work and how work practices can be developed to be inclusive and create value for work organisations. She explores these interests through two current research projects: the experiences of disabled workers, and media representations of women professionals and leaders. Katherine is a passionate advocate for disability inclusive human resource practices that support the building of workplaces that encourage sustainable employment outcomes for people with disability. Katherine’s research focuses generally on the employability of vulnerable groups, with a specific focus on people with disability and youth, and the organisational mechanisms that support sustainable employment outcomes for these cohorts. Prior to an academic career, Katherine worked for 12 years as an employment consultant in the disability employment field, primarily assisting people with moderate to high support requirements. This practical experience has also motivated her to explore the effectiveness of human resource practices of disability employment service providers. Free - however registration is essential as places are limited. QUT alumni and friends are welcome.